Joanne first started experiencing seizures in her childhood but they went undiagnosed as her mum thought it was simply strange behaviour. When she was about 20 she had another seizure and went to her doctor. Initially, she was diagnosed with diabetes, then stress and finally an allergy to alcohol. At the time, Joanne was working as a lifeguard at a swimming pool but she had to leave because of her seizures. In 2000, Joanne went to work with special needs adults who also have challenging behaviours. She did a course in epilepsy awareness and watched a video with her boyfriend about the different types of seizures. Her boyfriend told her that the video showed exactly what happened to Joanne and suggested she may have epilepsy. After one year of wondering what was wrong and why she felt unwell, she was referred for an EEG test. She was soon diagnosed with epilepsy. She has tried various medications, including Epilim, then Carbamazpine Lamictal, Topiramate, and Keppra. Joanne’s boss at the time was very understanding. However, she experienced stigma from other members of staff and she eventually left in 2005. Joanne’s specialist nurse advised her to join MedicAlert as Joanne’s seizures are nocturnal and are not controlled yet. “I have absence seizures on a daily basis which is why I have come to rely so heavily on MedicAlert Emblem. If I can’t remember any details about myself, even my name, I have a safe and reliable identification system in my MedicAlert Emblem”. Joanne’s life took a different direction. 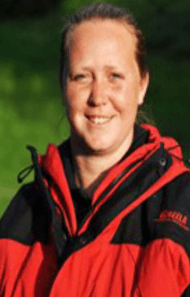 She says: “In January 2004, I took what I thought was a big step yet I was prepared for rejection…I joined a search and rescue team in Cheshire. No-one judged me for my epilepsy, and they all supported me. I was shocked! 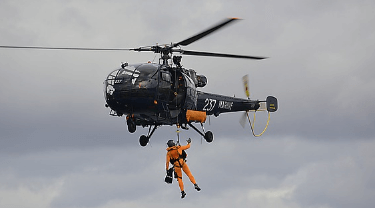 The team was called Cheshire Lowland Search and Rescue team. I was out walking most Tuesdays and weekends, I’ve been climbing in Cheshire. I was soon canoeing, abseiling, gil-scrambling. Generally, if there was anything new; I tried it! Joanne married her boyfriend in 2004 and has a three year old daughter.